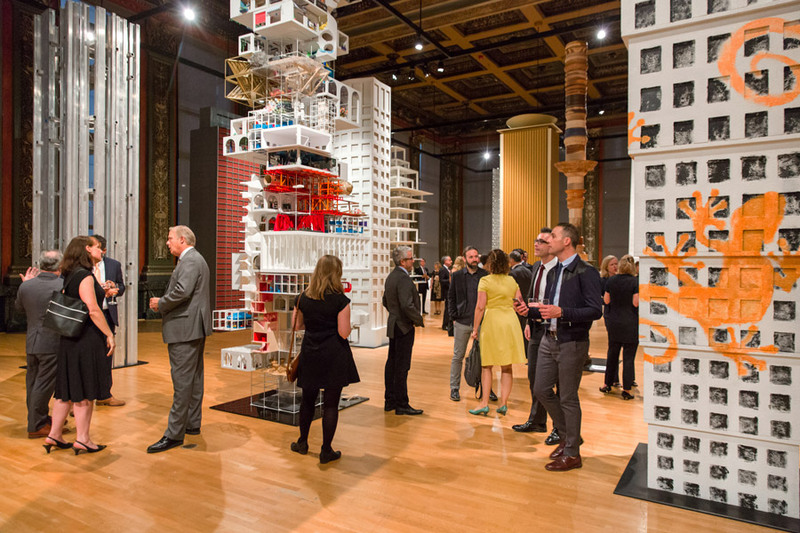 Events such as the Chicago Architecture Biennial want to provoke thoughts, ideas, debates and interest on certain cultural themes. In spite of some inevitable shortcomings (which have attracted though some unjustified criticism), the second edition of the CAB does just that. As for other similar events in the past, it is quite easy to critique this or that show, section, exhibition item or project, or even the approach of the curators or the event itself. 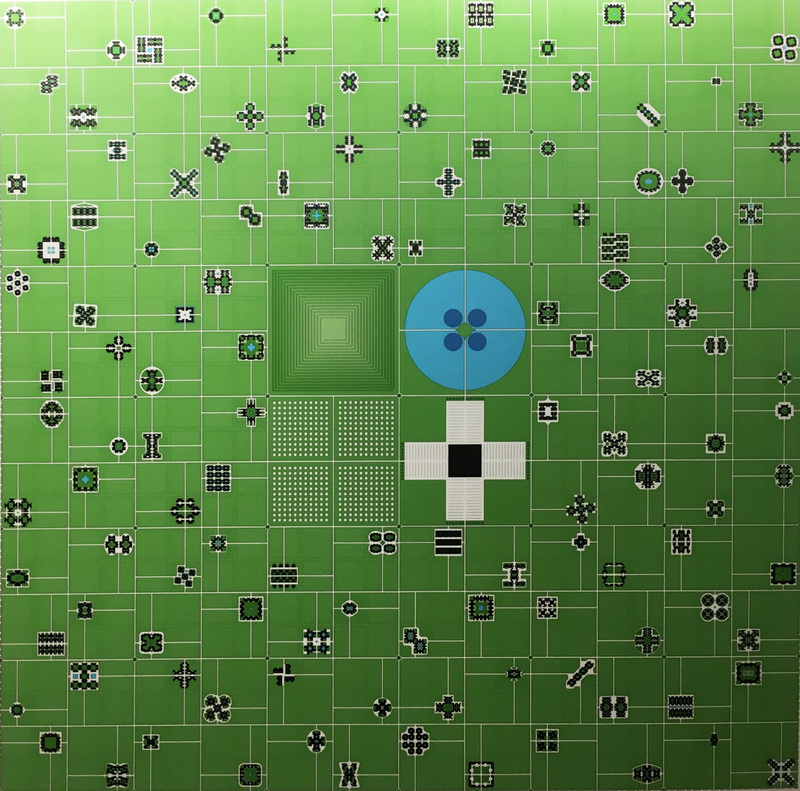 No biennial, triennial or similar event can be considered a complete success. The Venice Architecture Biennial of 1980, the “Strada Novissima,” curated by Paolo Portoghesi, which in fact inaugurated the following series and multiplication of architecture biennials, had a grand and global resonance. It still brings though with it the mark of its “original sin,” that is of sanctioning (and, worse, promoting) the advent of Post-Modernism, which cannot be really regarded as a bright and inspiring moment in the evolution of twentieth century architecture, no matter how interesting (for some) its linguistic explorations might have been. Yet, that biennial sparked debate, stirred the professional and public discourse. It might have had even the undesired effect of inviting new reflections and research on the “Modern project.” It provoked thought. And that is good for architecture, as we need to continue to stimulate critical thinking and cultural repositioning for the success of our field and the growth of our knowledge. The moment architects stop thinking, and using architecture as a powerful critical tool for the betterment of our society and environment, the profession and the body of knowledge in the field risk to find themselves again stuck in the quicksand of cultural and social irrelevance. If this CAB has any limit, it is precisely that one of not posing a critical enough question. 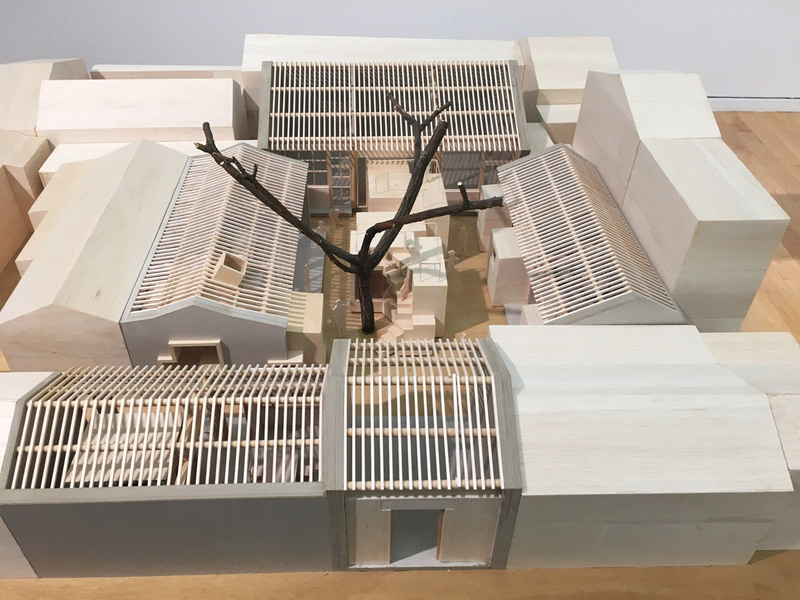 The hypothesis of the curators, Sharon Johnston and Mark Lee, with the CAB’s theme Make New History, is that there exists a young generation of architects “that believes in continuity… [without carrying] the stigma of postmodernism… [and that]for them, history is a treasure trove. They don’t feel shame or guilt to retrieve from it.” 1 It is an hypothesis that sounds too conciliatory, reassuring, somewhat simplistic (who belongs to such generation?) and superficially common-sense. When did architecture, like any other form of art, stop to reflect on history? As it has been widely demonstrated (for example, by Robert Venturi and Denise Scott Brown in their research on the “forgotten symbolism of architectural form” - Learning from Las Vegas, 1972), even the Modernists, who ideologically rejected any notion of debt towards history, borrowed heavily from other artistic precursors or contemporaries, as well as from the larger imagery and culture of the industrial world. When Mark Lee states that “we see history as a horizon, open and accessible, with multiple entry and exit points. … where the old and the new are in a cyclical relationship, or when the old becomes new when viewed through contemporary knowledge,” 2 he is not proposing a particularly novel approach. How did Venturi approach the study of “complexity and contradiction” in architecture? Or even what was the meaning of Le Corbusier’s statement “I have only one master: the past”? Indeed, the theme of this CAB is not particularly innovative, nor it can represent a new perspective on a supposedly emerging phenomenon. This CAB, however, provokes thought in the wider public and it did provoke thought in all participants, with many interesting responses. The value of this CAB, in other words, should be found more in the specific, (critically) intelligent reactions by particular architects, designers and artists for their works in themselves, rather than in how well they responded collectively to the charge of the curators. And having provoked those contributions goes anyway to the credit of Johnston and Lee, more than having posed a rather ambiguous and unconvincing question. (Not) Another Tower, by Tatiana Bilbao Estudio, Mexico City (Mex. 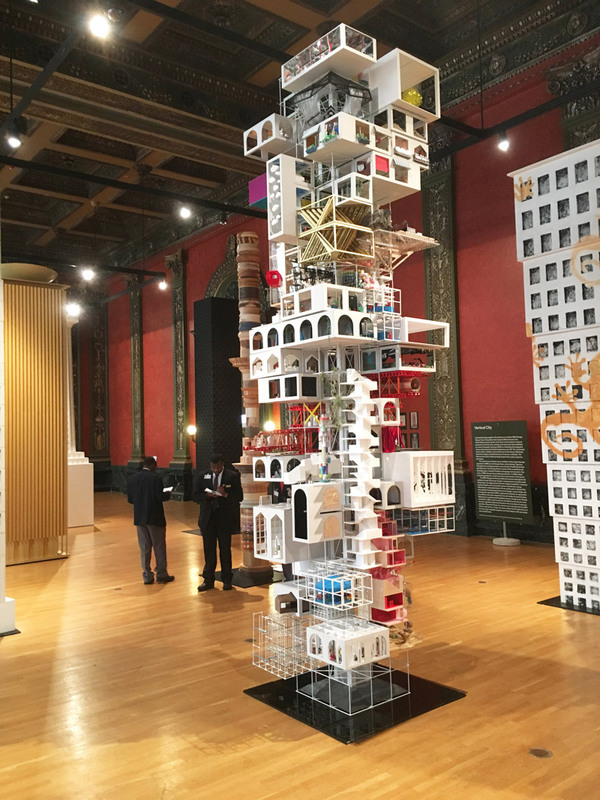 ), for the CAB’s section “Vertical City.” The section features the works of sixteen architects from around the world invited by the curators to re-imagine the brief of the 1922 Chicago Tribune Tower design competition. 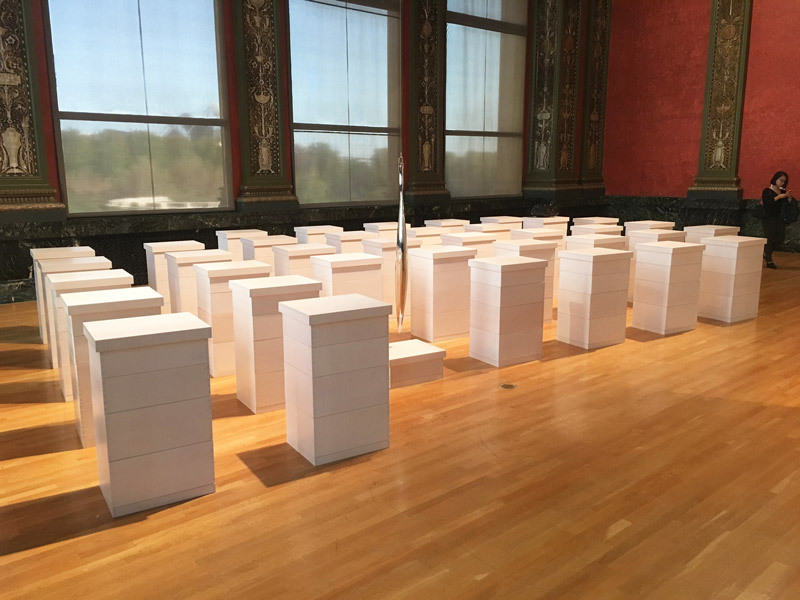 Beehives with Asteroid, 2013-17, by Iñigo Manglano-Ovalle, Chicago. Make New Hutong Metabolism, Beijing, by ZAO/standardarchitecture, Beijing. Lambri’s photographs are only the most striking art pieces in a very interesting section dedicated to photography, A Love of the World, curated by Jesús Vassallo. This section wants to “present a kaleidoscopic view of architecture and the city where the ideas of the discipline and the artifacts of the world find new fertile common grounds.” 6 With photographs by Lambri, Philipp Schaerrer (Chicago Series) and others, this section becomes a reflective mirror of architecture’s impact on the world, through which one can measure the differential between our aspirations, ideals, visions, and the reality of our environment. Farnsworth House, by Luisa Lambri. Milan. Chicago Series, by Philipp Schaerer, Zurich. Also Robert Somol’s “conceptual collage” of reference images used by the CAB participants to inspire their own “new histories” (or, better, interpretations) offers an interesting and thought provoking “sectional study” through fundamental issues of our knowledge. Grouping the eighty-four images under four headings, Somol makes us reflect on the meaning of “mood” (“how does the project conspire to reduce or magnify a style of life, for the one or the many?” 12), “manner” (“does the project attempt to deviate the given or naturalize the alien?” 13), “matter” (“is the project materialized through the phenomenal/perceptual or the virtual/conceptual?” 14), and “mode” (“does the project attend to gestalt form or articulated element?” 15). Heliomorphic Chicago, by Charles Waldheim with Office for Urbanization, Harvard Graduate School of Design, and Siena Scarff Design, Cambridge MA (USA). There are also many other interesting works displayed at the CAB, which, while they don’t particularly pose critical questions, do show new levels of design intelligence at various scales and within different contexts. Those include SANAA’s beautiful plan (done in collaboration with the IIT College of Architecture) for Bronzeville and the IIT campus; Studio Gang’s ingenious “cat-paw” timber construction detail for the Writers Theater in Glencoe (Illinois); the speculative study by Charles Waldheim and his Harvard GSD team (Office for Urbanization), “Heliomorphic Chicago,” on the conflicting demands in high-rise buildings for optimizing solar energy exposure, while minimizing the shadows cast on neighboring buildings; or Piovene Fabi’s Metropolitana, an intriguing re-interpretation, in terms of objects for a new domestic landscape, of Milan’s subway interior and graphic elements designed by Franco Albini and Bob Noorda in the 1960s. These and other questions, raised by all the interesting contributions included in the catalog, are very important for our field today and we can only thank the CAB (its whole staff, board and international advisory committee) and its 2017 curators, Johnston and Lee, for having given us the opportunity to reflect on them. We should also thank Rahm Emanuel, the Mayor of Chicago, for his support and political vision for such an important event in our field. True that, as Aaron Betsky pointed out, “a few passing references to Postmodernism in the Jencksian sense of that word, and some flaccid reconstructions of historical models from the Deutsches Architekturmuseum in Frankfurt, Germany, are all that drag this edition away from its repurposing of what is current.” 16 Nevertheless, I do not agree with certain critics, such as Matt Shaw, 17 who thinks that “the theme forced a generation of emerging architects into a narrow and deadening frame” (as discussed above, many participants managed to produce intelligent work anyway) or that the “history [presented] was stale and familiar, and largely irrelevant today” (some of the histories at the show, capable to generate intriguing interpretations, even though not always of critical power, remain as inspirational as ever, such as Superstudio’s visions and, yes, Mies – can Mies be considered “stale”?). CAB opening night, September 14, 2017. The CAB has already become (even though it should grow more into) an unavoidable moment of exchange of ideas, positions and visions for the evolution of our field. As pointed out by Johnston, “the Biennial format sits at the core of architecture’s cultural project: a forum to reach and produce new audiences.” 22 Yet, it could further sharpen its purpose moving forward: provoking more meaningful debates with more critical positions, thus recapturing architecture’s call to be a powerful, critical voice for our culture and society. “From the First Biennial to the Second and Back Again,” interview by Sarah Herda, Co-Artistic Director of the inaugural 2015 Chicago Architecture Biennial, with 2017 Artistic Directors Mark Lee and Sharon Johnston, in Make New History. 2017 Chicago Architecture Biennial, eds. Mark Lee, Sharon Johnston, Sarah Hearne, and Letizia Garzoli (Baden, Switz. : Lars Müller Publishers, 2017), 19-27 (20). Sharon Johnston, “From the First Biennial…,” in Make New History, 25. Jesús Vassallo, “A Love of the World,” in Make New History, 183-189 (183). Philip Ursprung, “Melancholia – Write New Theory,” in Make New History, 29-35 (34). Sarah Whting, “Figuring Modern Urbanism: Chicago’s Near South Side,” in Make New History, 89-99 (93). K. Michael Hays, “Critical Architecture: Between Culture and Form,” Perspecta 21 (1984): 14-29. “Mood, Matter, Manner, Mode,” curated by Robert Somol, in Make New History, 313-325 (314). 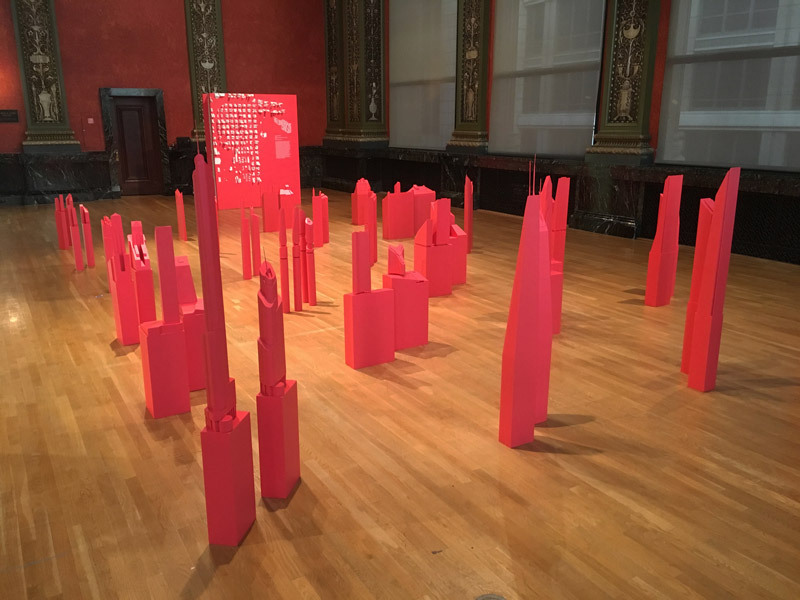 Matt Shaw, “Five fundamental problems with the 2017 Chicago Architecture Biennial,” Architect’s Newspaper, September 21, 2017, https://archpaper.com/2017/09/5-problems-chicago-architecture-biennial/ . Maurizio Sabini, “Wittgenstein’s Ladder. The Non-Operational Value of History in Architecture,” Journal of Architectural Education 64, no. 2, (March 2011): 46–58. Mimi Zeiger, “Architecture as intellectual inquiry needs to take more risks,” Dezeen, September 26, 2017, https://www.dezeen.com/2017/09/26/opinion-mimi-zeiger-second-chicago-arc... .
As reported by Mark Lee, “From the First Biennial…,” 21. Vassallo, “A Love of the World,” 189. Johnston, “From the First Biennial…,” 26. 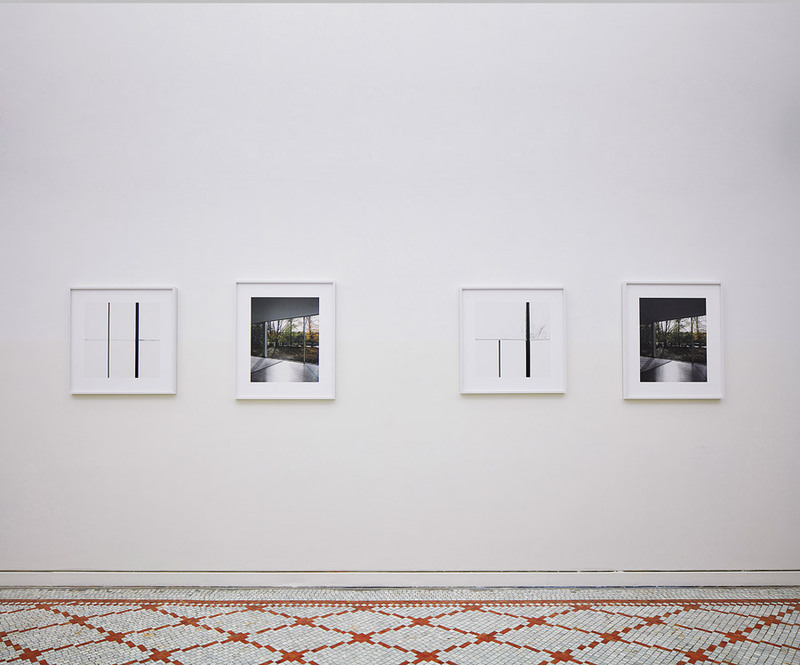 Figures 1-4, 7 and 8: Photos by the Author, reproduced courtesy of Chicago Architecture Biennial. 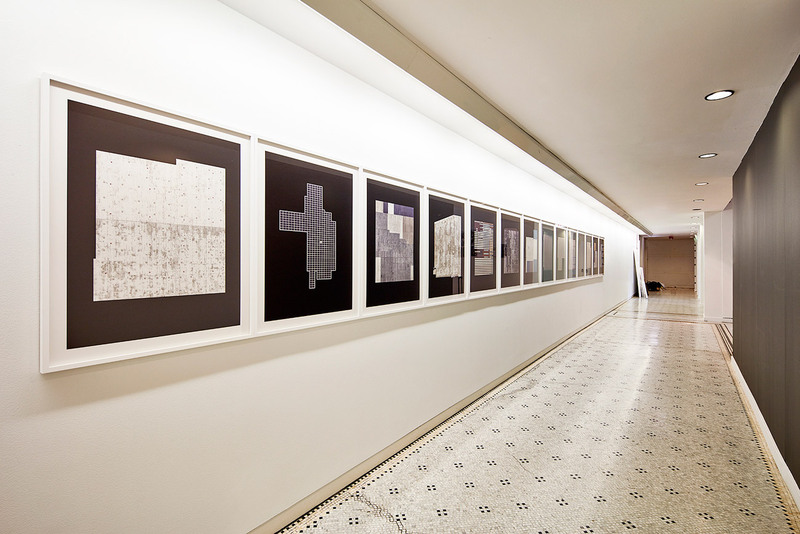 Figure 5: Courtesy of Chicago Architecture Biennial, Steve Hall © Hall Merrick Photographers. 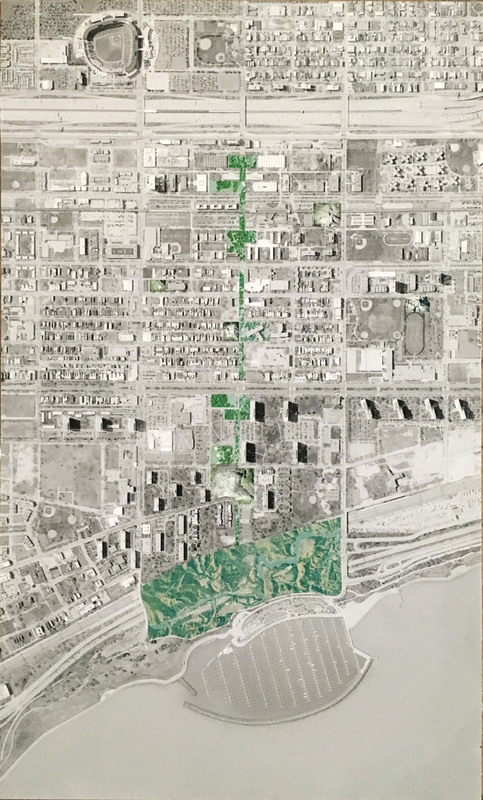 Figure 6: Courtesy of Chicago Architecture Biennial, © Tom Harris. Figure 9: Courtesy of the Chicago Architecture Biennial. Photographer: Benjamin Lozovsky/BFA.com.